As the majority of BJJ fans worldwide read on these pages, the European BJJ Championship crowned two monarchs last Sunday. Atos black-belt Gustavo Batista stole the title from 2018 champion Lucas Hulk. And Nathiely de Jesus turned out to be next in line after Tayane Porfírio, who is still recovering from an injury. Here are a couple of videos featuring the brand-new champions, which you can use to get a feel of how they fight. 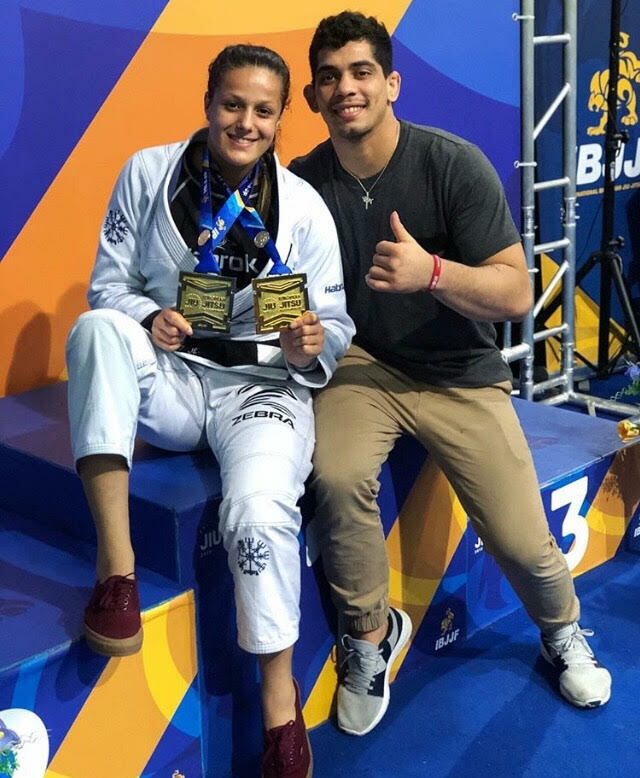 In a recent IBJJF tourney, Braguinha was already displaying intense pressure from the top. Meanwhile, Nathiely shows that her guard is the perfect trap for finishing below the waist.